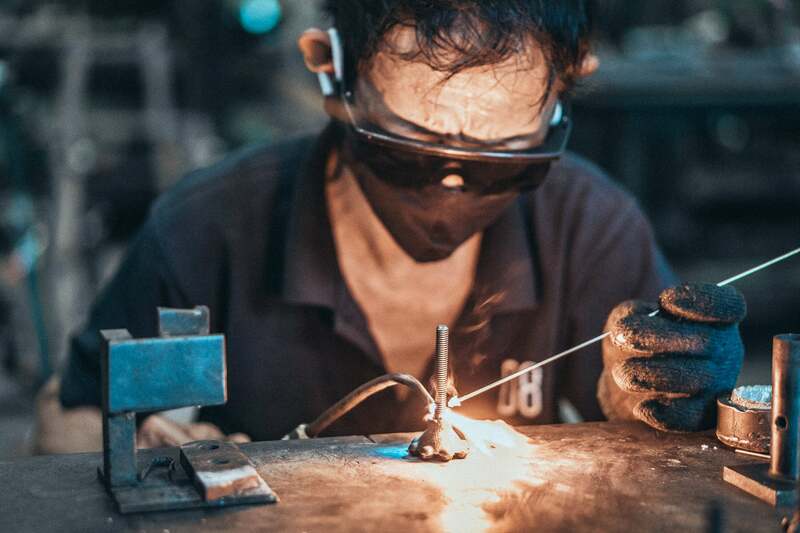 The fact that we often use glass, iron, steel, wood, and cement in a single item means the manufacturing process requires a large team with a diverse range of skills. 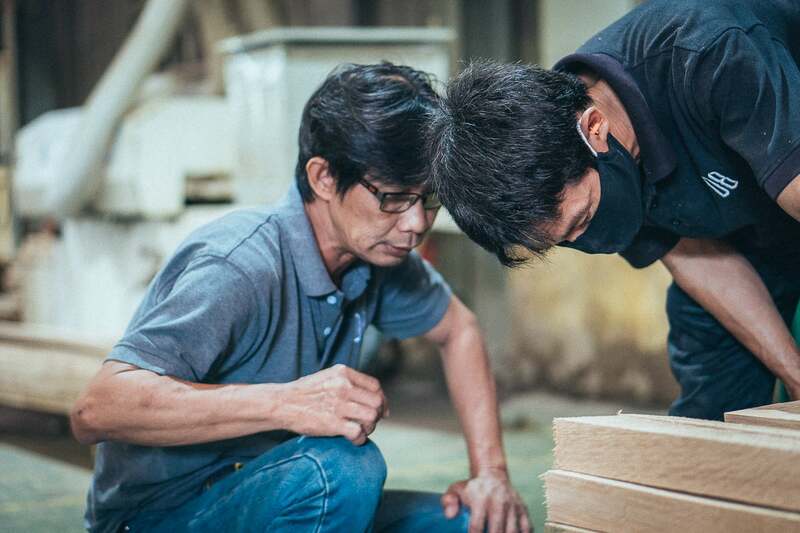 For example, one of our Kahn line’s tables calls for a lot of technical skill on behalf of the craftsman in order to form the precise steel support mold needed. This piece is called a “steel web”, and there’s a lot of expertise involved just to get its measurements to be exactly right. And this is just one part of the table—the cement base also goes through a lengthy production process. When all of these components have been properly constructed following our specifications, we have ourselves a stunning final product—one that could not be mass produced. And to me, this is District Eight’s signature. It’s an approach that is difficult to replicate. When I first started working here, I would jump right into the workflow without any thought about the creative design process. But now, I am eager to see if there is a way that I can make our pieces more innovative. It’s a mutually beneficial experience to work hand-in-hand with the technicians—making our own original modifications to the product at hand. To us, we feel more like artists than factory workers, and this experience is very rare in this industry. So, when the process goes well we might end up with a new signature piece. This is how the backrest of the Akron chairs came about. I’m proud of these details. I put my heart and soul into them, and it gives me a genuine sense of accomplishment. 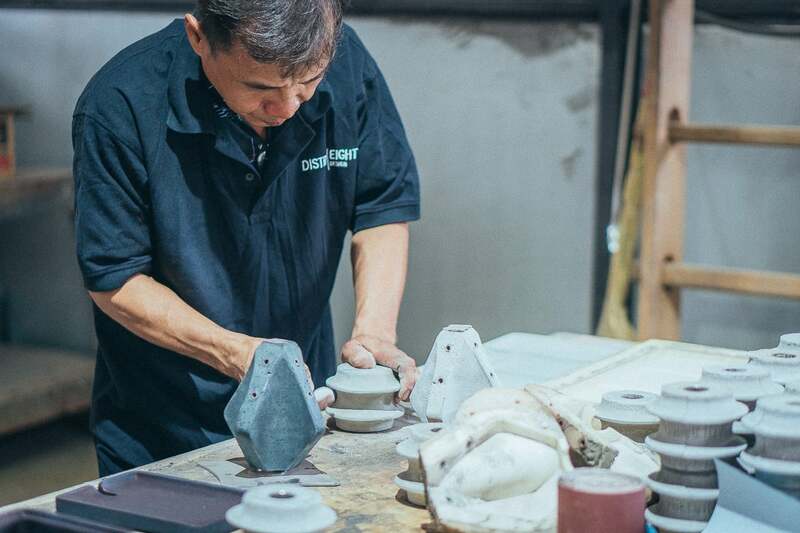 I had no prior experience working with concrete before I came to District Eight. I first began working with it when we were designing the Kahn dining benches. During this project, the management team encouraged me to implement my skills with this material, as they thought I might be a good fit. The Kahn collection demanded a highly intensive design process as we had to find the perfect formula that would allow for malleability, whilst providing enough structural support. It took three months just to produce the first sample. We tried countless different molds and numerous kinds of sand grains. It was a process of evolution rather than elimination, and finally one day, after taking a step back and reflecting, we found the solution. At that moment, I knew we had come up with the perfect product we had been challenged to create. What I like about the cement process is that when the customer sees the final result the beauty of the piece and the sum of its individual parts are both evident. What I see is the all the elements we balanced to make the mold—the color, the weight, the strength and the texture. I understand all the effort that went into making the final product. To me, it’s beautiful as an amalgamation of all those elements, but it’s also beautiful because it’s the result of artistic collaboration. Which District Eight product would you most recommend people to check out? Our games pieces. They are absolutely gorgeous and one of our best selling items.